Oats are such a fantastic source of prebiotic fiber and they pack a ton of health benefits. Both steel cut and rolled oats are great for gut health and can help your gut microbiome to thrive. Like we've said before, your probiotics won't be happy unless you feed them prebiotics! Prebiotics are natural plant-based materials that make it to the intestines undigested, providing a nutrient source for gut microorganisms to grow and thrive; essentially prebiotics are just nutritious microbe foods. Now when I say oats, I don't mean the packets of instant oatmeal with sugars and fillers. There are some healthy brands of instant oatmeal, but for the most health benefits try to eat oats that aren't flavored already. We keep certified gluten free rolled oats in our house at all times. Food trends, and what's good for you and bad for you can get confusing. One day a certain food can cure ailments, and the next it's toxic... media can make it hard to understand what is good for you. The fun thing about oats though is that they've always been a superfood. Oats can be especially important for people on gluten free diets by providing an adequate, necessary amount of dietary fiber. Oats claim to fame is mainly based around their ability to help lower bad cholesterol and the fiber they add to meals. Lower cholesterol + beta glucan fiber = SUPER heart healthy. Plus all that beta glucan from oats is perfect to feed the gut microbiome, keeping your microbes thriving and at their fullest protection potential. 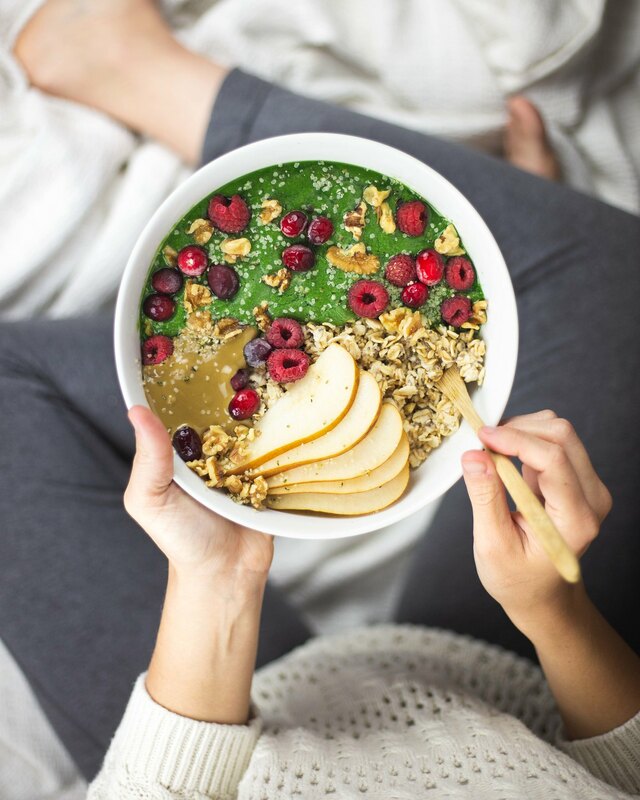 You microbiome helps to protect you from disease and helps you to derive the most nutrients from your food, so you always want to make sure it's nourished and ready to do work by supplying many prebiotic foods... like oats. You can do a lot of things with oats too. You can eat oatmeal, savory oatmeal, or oatmeal based protein bites. You can drink oat milk, or a smoothie with oats added. You can use oat flour instead of wheat flour... there are a lot of possibilities. Prebiotics are natural plant-based materials from foods that make it to the intestines undigested, providing a nutrient source for gut microorganisms to grow and thrive; essentially it's just nutritious microbe food. Prebiotics are absolutely necessary to maintaining gut microbiome health. When you mix probiotic rich foods, like our Cultured Guru Sauerkraut, with a variety of prebiotic foods you get the best gut nourishing effects possible! Since our fermented vegetables have the most rich, natural species of probiotics available, when you our fermented veggies along with ample prebiotic foods you increase the functionality of both the prebiotic and probiotic foods. Beta-glucan: What a fantastic soluble fiber! Beta-glucan only partially dissolves in water and forms a sort of jelly substance in the gut. This jelly like substance actually feeds your good microbes! A few good scientific papers have been published studying beta-glucan from oats and how it promotes the colonization and growth of probiotics in the gut. You can deviate from this recipe a bit by pairing the chia oats with whatever smoothie you want and topping with the fruits you have, or fruits that are more in season in your area. You can also cook the oats instead of doing overnight oats. I just prefer everything to be cold, so I prep overnight oats when this will be for breakfast. For more variety with oatmeal, you can also try out savory oatmeal. I like to use oatmeal as a base in bowls, the same way I'd use rice or quinoa, because it's so easy and fast to cook! We also love taking savory oats to-go in a mason jar for breakfast or lunch. When we eat sweet oats we always add a teaspoon of sauerkraut brine to the mix, and if we are having savory oats we add kimchi or lots of kraut! When you add a teaspoon of brine to sweet oats, you add millions of probiotic Lactobacillus without altering the flavor of the oatmeal. You do need to be sure that your oats are adequately flavored with things like maple syrup, a ripe banana or sunbutter in order for the brine to not alter the flavor. For this recipe we added sauerkraut brine to the smoothie portion of the bowl. Mix your dry rolled oats and chia seeds together in a mason jar, add 3/4 cup of water, place a lid on the jar and keep the jar in the fridge overnight. Add the banana, avocado, kale, spirulina, maple syrup and Cultured Guru Fermented Sauerkraut Brine to your blender. Add water according to your desired thickness. The less liquid the thicker it will be. Add your overnight oats and the smoothie to the same bowl. Top with sunbutter and mixed fruits and nuts of your choice.